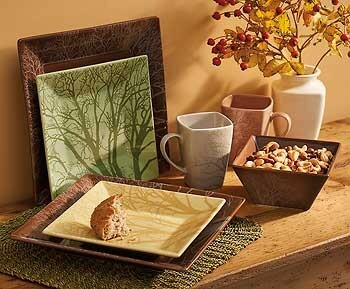 Celebrate the diverse beauty of nature with this contemporary, multi-color dinnerware set, sure to draw rave reviews with its appealing square shape. Inspired by Steven Kozarâ€™s Among Trees wrapped canvas art prints. 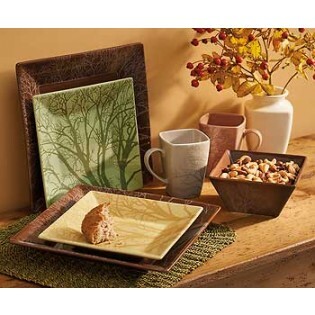 Celebrate the diverse beauty of nature with this contemporary, multi-color dinnerware set, sure to draw rave reviews with its appealing square shape. Inspired by Steven Koza'â€™s Among Trees wrapped canvas art prints.